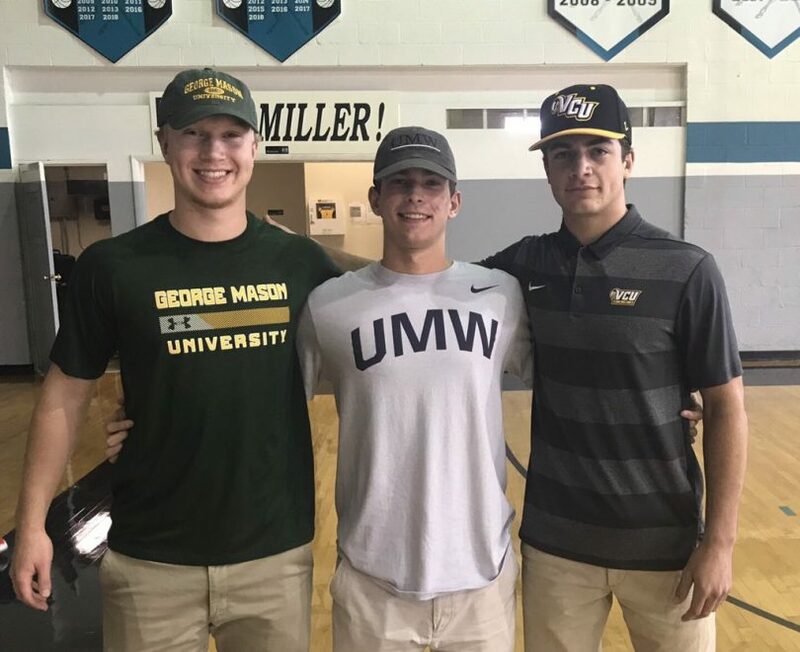 Three Miller School baseball players signed with three different Virginia universities in front of a crowd in the school’s gym Wednesday afternoon ahead of the Mavericks’ pursuit of its third straight state championship. 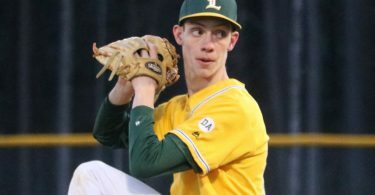 Jack Masloff followed former Mavericks state champion pitcher Connor Gillispie to VCU, while Nate Burton will head to Mary Washington and Matt Sykes inked with George Mason. Sykes, a Northern Virginia native, is excited to return to his hometown to continue his career, where it will allow those who are close to him to watch him play. Burton, who is capable of playing several different positions, including pitcher and catcher, will be the lone Maverick on the Mary Washington roster when he joins the Eagles next season. Masloff enters his first season with the Mavericks and looks forward to continuing the traditional pipeline of Miller players to VCU, the most recent being Gillespie and Mike Dailey. All three players also pointed to the coaching staffs at each school as reasons why they made their choices. Mavericks head coach Billy Wagner, himself a former college player in Virginia at Ferrum before his Major League Baseball career, took great pride in the fact that another group of his players will be representing Miller School at the next level. Unlike some other sports, these players will get to play their final season without the added stress of the recruiting process.